Vital Medical Services was once again the Pasadena Police Department’s primary medical service provider for Public Safety on New Year’s Eve in Pasadena, California. Housed inside the Pasadena jail, our staff of medical providers absorbed the high volume of arrestees with diverse medical conditions. 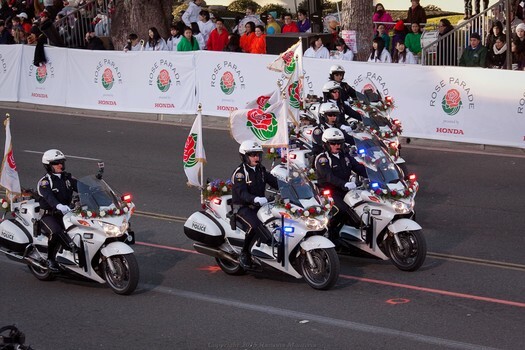 Year after year, 700,000 people from all over the world converge on Pasadena (population 140,000) to attend the city’s Rose Parade and Rose Bowl festivities. This congestion has taxed public safety resources in getting the necessary medical screening and medical evidentiary processes—until Vital Medical Services came along. Last NYE’s 2014 festivities marked the first year Vital Medical Services filled this need for the Pasadena Police Department, providing first aid, pre-booking medical screenings, and evidentiary blood draws. This resulted in a reduction in liability incidences and inefficient transporting of arrestees through congested streets to overpopulated emergency rooms. VMS is honored to be an integral member of Pasadena Police Department’s medical and safety community and we wish everyone a safe and prosperous 2016!